Another successful hunt with Action Adventures. 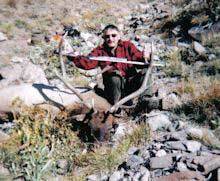 I have been on three hunts with this outfitter, and each time I had success with getting an elk with trophy antlers. I have been on hunts with Jay Mitchell and his son Justin. Both were very professional and knowledgeable of the area. The camp was very accommodating and the cook prepared great meals. The guides for the hunt were outstanding. I’ve been hunting for 20 years and I wish I had been hunting Action Adventures from the start. 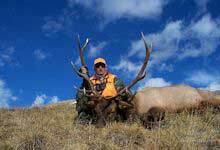 I strongly recommend Action Adventures for anyone who wants a truly good hunt.